Friday Fixation: New Sample Sale Sites! | The House of Martins The House of Martins: Friday Fixation: New Sample Sale Sites! Friday Fixation: New Sample Sale Sites! First, Enviius. 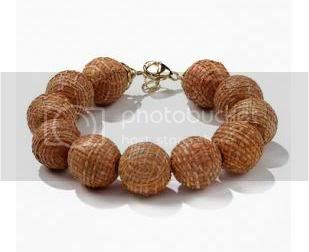 My favorite thing over their right now is this Raffia Bracelet from Maria Chavez. They have other sales right now including Rudsak belts and Louis Vuitton Vintage. This site looks promising. Go join! Here is your link. Check it out. Next up is Biva. Which I haven't found anything I am really interested in yet - but it doesn't mean you shouldn't check it out. Next is The Sample Sale. Easy name to remember. They have BCBG right now and I'm really liking this black and white dress. And its under $100... which I love. They have Men's stuff too - for any of you fashionista-dudes. Here's an invite! And here is another site: Snappy Tuna. I love the name. It's all kitchen stuff but since I love to cook, I'm sure I'll be finding some good deals on here too. Remember all links to member's only sites are over on the right hand side. Check them out!